Brent & Shirley Cairns of Wedding Photographers Christchurch, specialize in photographing people. You won’t see them taking photos of architecture or products. They love working with people and taking beautiful photos. They also work under the brand ForeverYoungPhotography. One of the most important elements of their photography is catering their style to suit what you want. Because of their years of experience, they get things right in the camera, leaving time to help you relax and to look your best. On of the unique features they offer, during the reception you will get to see 100-200 photos of the day as a slideshow on a large screen … with Brent & Shirley you won’t have to wait weeks or months to see the first photo. So on your special day you will always have both Brent and Shirley there… Brent does the main photos, with Shirley as back ground photographer/videographer. Photographing a Wedding is no different to any other shoot they would do. They like to sit with you over coffee and work through what is important to you. They find this part of the creative process the most fun, because the more you explain what you want allows them assist to you to realize your dreams. 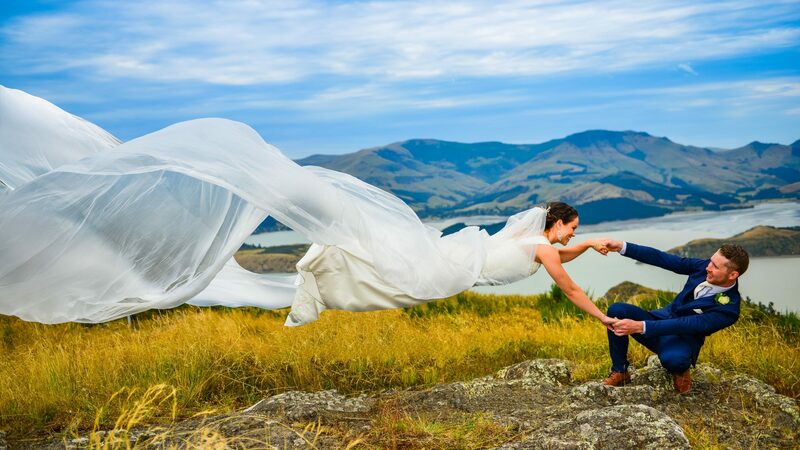 You want your day to go as you want it and as your Wedding photographer whether you are in Christchurch, in New Zealand or Australia they will work around you.